Crested geckos are one of the most popular lizard species you can get as a pet. In contrast to many other pet lizards that require all manner of expensive and special care, crested geckos are altogether less demanding to care for. And this is ever truer when it comes to feeding a crested gecko. 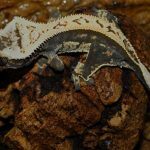 Crested Geckos: What Do They Eat? How Often Do You Need To Feed Your Crested Gecko? Crested geckos are omnivores. Thus they eat a broad range of both plant material and insects as an ideal source of protein. The most common plant-based foods that are given to crested geckos are a broad range of various fruits. There are some crested geckos that also accept vegetable-based foods. Some crested gecko owners blend vegetable leaves to “shakes” are the best acceptable for crested geckos. Some crested gecko foods come in powder which is then mixed with water in order to create a paste. 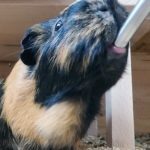 Such paste should provide complete nutrition to your crested gecko and is the simplest, easiest way to feed a crested gecko. Although powdered forms include complete nutrients that a crested gecko needs, most owners also choose to supplement their crested gecko with a wide range of plant-based foods and insects in order to ensure a balanced diet. Pangea is one of the most popular names for crested gecko foods. This particular food for crested geckos is formulated with insects as one of its main ingredients. It uses all-natural fruits that is nutritious and delicious for crested geckos. This Pangea mix includes insects, papaya, apricot and banana and other nutritious ingredients. It is easy to prepare— just mix it with water and give it to your crested gecko. Mealworms are another feeder insect for crested geckos. Just like crickets, you can find a variety of suppliers and breeders that can provide you with the needed mealworms for feeding your crested geckos. 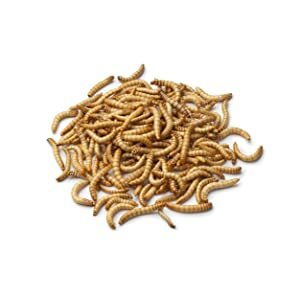 Unlike crickets, mealworms do not have the capability to easily escape and disappear. Take note, however, that since mealworms do not move that much, crested geckos may lose interest in eating them since they are less challenging to hunt. If this is the case, then you need to get a more “active” option. Repashy is another big name in the world of crested gecko’s diets. And just like Pangea products, Repashy foods also comes in powder form and needs only to be mixed with water in order to achieve the right consistency. This particular Repashy MRP (Meal Replacement Powder) diet is specifically formulated for crested geckos. It comes in easily re-sealable jars so it can be easily stored away when not in use. Crested geckos absolutely love waxworms. This is because these worms are particularly high in fat. They make a great snack for your crested gecko. 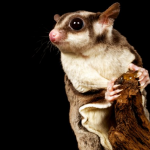 However, because they are high in fat, you need to watch the amount of waxworm that you give to your crested gecko. You should limit this type of food every month so that your crested gecko will not up to being obese. Another Pangea product for feeding crested gecko, this particular Pangea diet mix uses real apricot as its main ingredient. It also uses bee pollen and bananas as well as other nutritious ingredients with 3 sources of protein. This Pangea Fruit Mix has perfectly balanced vitamin and calcium levels for the health of your crested geckos. You only need to mix this powder with water in order to create a paste to feed your crested gecko all the nutrients that it needs. 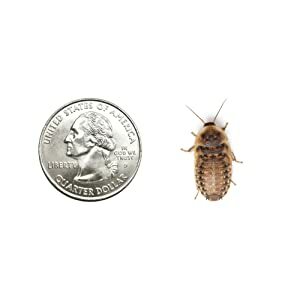 Dubia roaches were less known than crickets and mealworms. However, it is on the rise and becoming one of the most popular feeder insects for crested geckos. 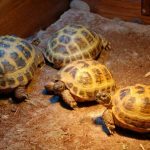 Because dubia roaches live longer than worms and do not have any unpleasant smell, they can be stored in bulks for future feeding. In order to give your crested gecko a different taste, Repashy formulated another MRP or Meal Replacement Powder that features freeze-dried mango as the main ingredient. The Repashy Mango Superblend has an ultimate blend of plant fats and proteins, whey isolate and a blend of insects for a complete nutrient-packed meal. Another name for Crested Gecko’s MRP diet, T-Rex Sandfire Super Foods created an all-natural food that includes all minerals and vitamins that your crested gecko needs. It is made with human-grade ingredients and it eliminated the use of feeder insects. IT is economical and easy to use powder— just mix with water until you create a paste and leave it to your crested gecko’s habitat. Now, if you wish to add feeder insects to your crested gecko’s diet, then crickets are by far the most popular and best insect choice for geckos. You don’t need to catch crickets in the middle of the night just to have something to feed your crested geckos. 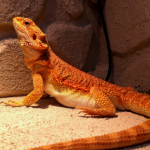 There are various breeders and suppliers of crickets where you can get hands bulk crickets. Remember to ask in advance the different sizes of crickets. If you ordered crickets that are too large, chances are, your crested gecko might have a hard time eating them. This commercial food for crested gecko is unlike others on this list. Made as spherical granules, this crested gecko diet does not need to be mixed with water. Just put some into your crested gecko’s bowl and feed. The Fluker’s crested gecko food has a fruity-flavored taste with a light crunchy texture that your crested gecko will surely enjoy to eat. It is packed with advanced micronutrients, minerals and essential vitamins which help in supporting a healthy immune system as well as reducing bacterial and viral challenges. The nutrition that is provided by live feeder insects can vary differently. In order to make sure that your crested gecko can get the most benefit in insects then it is recommended to either gut load or “dust” insects before feeding them to your crested gecko. To gut load insects, you only need to use gut loading powder like Fluker’s High Calcium Cricket Diet for 24 hours before you feed the insect to your gecko. This should make the digestive system of each insect packed with the necessary calcium and nutrients. To dust an insect, simply place the insects into a clear, plastic bag and add a small amount of powdered mineral such as Fluker’s Calcium powder. Shake the bag vigorously until the insects are coated with the beneficial powder and immediately feed them to your crested gecko. Take note that roaches and crickets hate to be coated and will clean the powder off their bodies. Thus, you need to immediately feed them to your geckos or opt for gut loading with such insects. Although Repashy and Pangea offer high fruit content, most owners also feed their crested gecko with mashed or finely chopped fruit either as treats or to complete their diet. There are different fruits which are safe to feed to crested geckos. 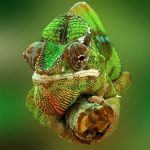 However you need to ensure that the crested gecko receives a wide range of nutrients, thus it is advisable to swap fruits offered regularly, aiming for a various range of fruits to be consumed. This should minimize the risk of nutrient deficiencies from feeding a single type of fruit. Vegetables are not as popular as fruits with crested gecko, however, these are often blended in order to give them a more appealing texture as well as mixing them fruits in order to improve the taste. The reason why you should consider vegetables in feeding your crested gecko is that they are richer in minerals like phosphorus and calcium when compared to fruits. 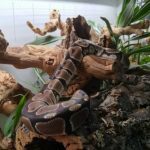 Now that you know the best food to give your crested gecko, it is worth mentioning several foods types that should not be fed to your cresties. Baby foods are usually made from pureed fruit which is what you can find with most crested gecko foods. However, it is not the case. Baby foods contain a lot more sugar than typical crested gecko foods are is quite lacking in protein. Thus, baby foods are not advisable as a crested gecko food. Most citrus fruits can block absorption of calcium from the diet, so if you choose to give them to your crested gecko, it is advisable to use only a small fraction for your crested gecko diet. Crested geckos love to hunt down and eat a few crickets, however, they can only handle small preys. Crested gecko can have a hard time eating larger insects and there is a risk of your crested gecko begin bitten or harmed by larger insects. So, try to aim for smaller live insects to feed your crested gecko. Most crested geckos eat every few days. Now, whatever you are feeding to your crested gecko, and despite the fact that they eat every few days, you should make sure to give fresh food to your crested gecko at least once every other day. Also, you might want to remove any uneaten food after 24 hours in order to prevent spoiling. As you can see, feeding a crested gecko is easy as you like. If you have little time available and do not want to deal with crawling insects, then Repashy and Pangea products are enough. If you wish to add more fun and also supplement your crested gecko, then you can give them a variety of live insects and fruits. Whatever you choose, the key to a healthy crested gecko is to simply feed it with a balanced and complete diet.